*Free entry for all on Friday May 17th. *Free entry for children under 16 years old all weekend. 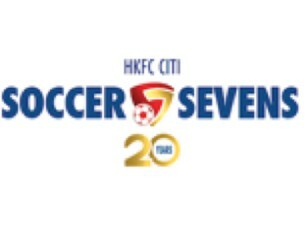 *Free entry for HKFC members via the main entrance all weekend. *Public ticket holders must enter via the Happy Valley Infield next to the Hong Kong Racing Museum. 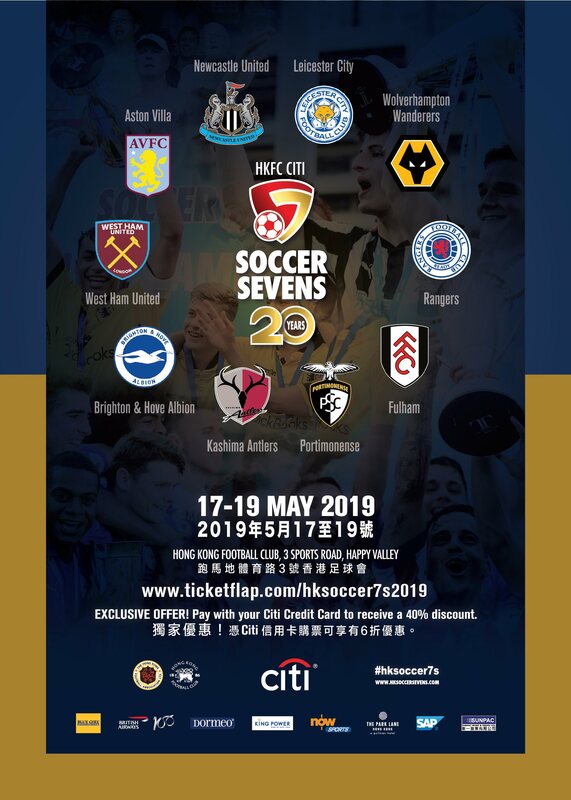 The HKFC Citi Soccer Sevens enters its 20th anniversary edition and will again feature top teams from the United Kingdom including England’s Premier League, mainland Europe and Asia going head-to-head over three thrilling days at Hong Kong Football Club. The prestigious event is the world’s best seven-a-side football tournament where fans can see the stars of tomorrow and some of the legends of the game in one exciting event. The 20th edition will take place this year between Friday 17 May and Sunday 19 May. Past winners of the Main Cup tournament include Arsenal, Manchester City, Aston Villa, Leicester City, Newcastle United and Spain’s Atletico Madrid. The Masters event, for players aged at least over 35, features some of the stars of the past, with the likes of David James, Emile Heskey, Teddy Sheringham and Peter Beardsley having featured at Sports Road in recent years.